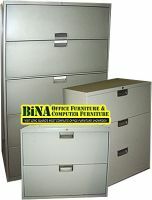 Thank you for calling the Bina Office Furniture web site. We appreciate your interest in purchasing office our furniture. Because we share your concern about privacy, we are letting you know how we collect information about you, what information we collect, how we use the information, under what circumstances we disclose it, and what choices are available to you regarding such data collection. This Privacy Statement covers information collected at our site only, and does not apply to any other sites that may be linked to us. Web sites often use "cookies", a feature of your web browser, that allow sites to store and sometimes track what you are looking at when you call our sites. If you are concerned about the potential use of information gathered from your computer by "cookies," you can set your browser to prompt you before it accepts a cookie. Most Internet browsers have settings that let you identify or reject cookies. If all you do during your call is browse, read pages, or download information, webservers automatically record the following information about your call. 1. The domain for your Internet service, such as "your_company.com" or "my_internet_provider.net". 3. The type of computer system that you use, e.g., Windows or Macintosh. 4. The date and time you call our site, and the Web pages that you call on our site. 5. The address of the previous web site you called, if you clicked to us from another web site. This information may be used to help us diagnose technical problems as well as to help us rank user interests. We may elect to aggregate – as a total, not linked to individual users – site traffic patterns for server analysis and web site usability purposes. Most of our site is accessible without registration of any kind. Some of our services may require personal identification in order to be effective. This includes, but is not limited to, any online contact forms. By "personal information," we mean information that on its own can specifically identify you. Any information you voluntarily provide would only be accessible by designated staff. This may include, among other things, your name, postal address, e-mail address, telephone number, that you would have personally and deliberately provided to us. 1. E-mail Lists: If you choose to sign-up for one of our e-mail lists, we ask for your e-mail address and other personal information. We use this information to administer the e-mail lists and to track user interests. We may also use it to verify that you are a site member. If you choose to subscribe to an e-mail list, we may use your zip code or other information to send you individualized updates. We do not sell, lease, or rent these lists to any outside organizations but may share information from our members through e-mail. 2. Promotions: You may choose to participate in other activities on our site that may require you to disclose personal information. These activities may include polls, questionnaires, surveys, contests, etc. We will not sell your information to any third-party organization. The privacy policies and practices of this site do not apply to ANY external links. This privacy statement only applies to this site. It does not cover sites that are linked to our site; these linked-sites will have their own policies and practices, which may be different from ours. We therefore encourage you to familiarize yourself with the policies and practices of the linked-sites, especially if you provide personal information to them.